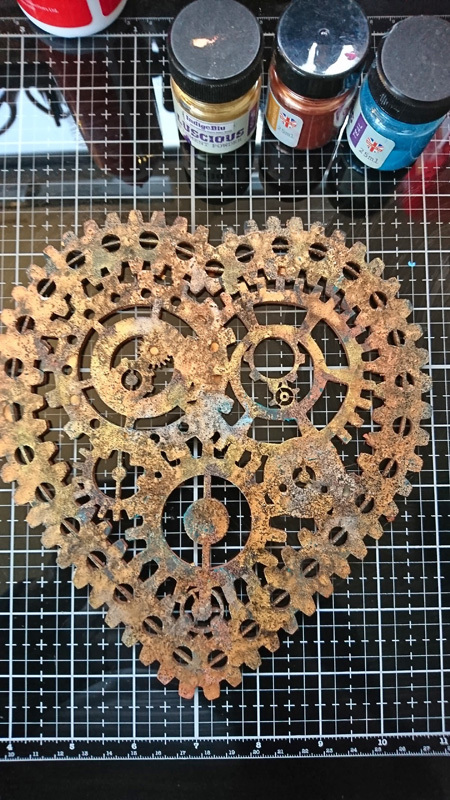 I absolutely love cogs and all things steampunk so when I saw this amazing cog heart I just had to have it. It’s been lurking in my drawer for a while, but finally, with Valentines day almost here I decided it was time to make use of it and create a canvas. 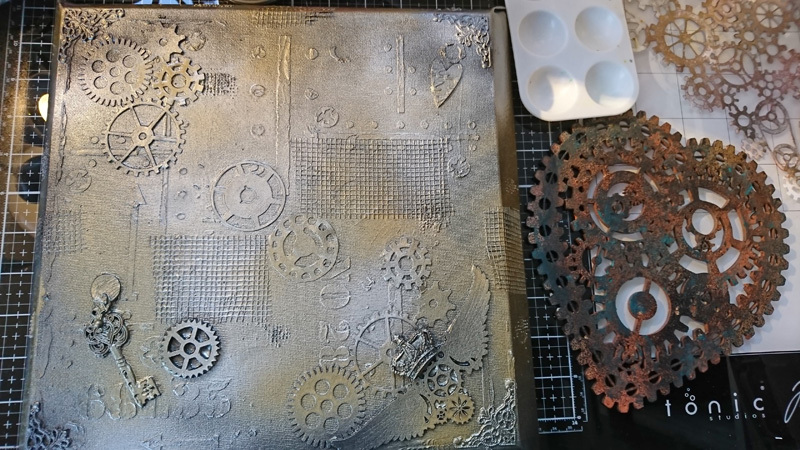 I had a 12×12” bevelled edge canvas that I found in a local charity shop a while ago, and that was the perfect size to use as my base. 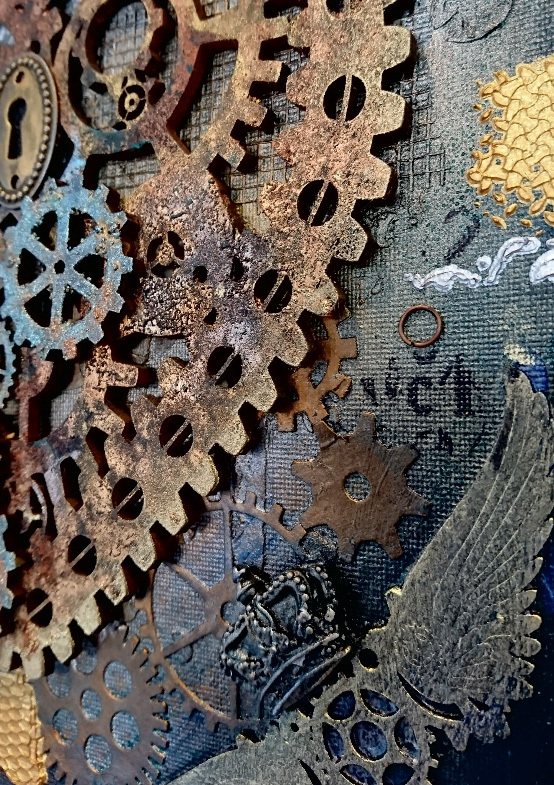 I wanted an industrial feel to my piece, so I added texture to my canvas using a stencil that matched my theme. 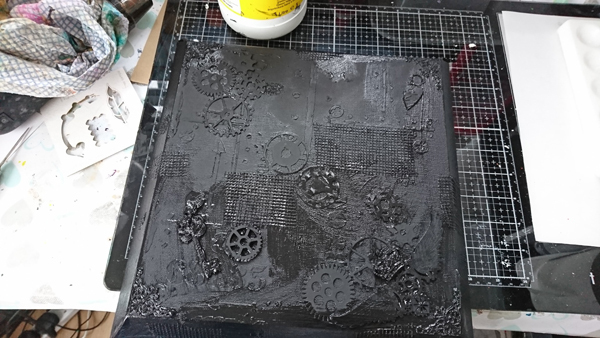 Once dry, I added a variety of other things to give texture and interest, then applied a coat of black gesso over the top. While that was drying I set to work on my heart. 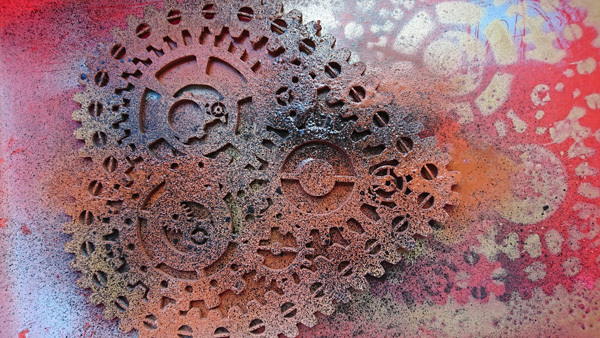 I used a whole array of stuff on this- Rust It to add texture, spray paints, patina, Luscious powders and waxes. I basically just kept going until I was happy with it. I love the texture and aged look it created once done. 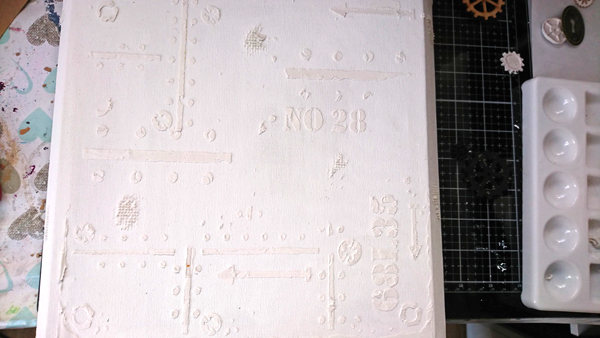 To colour the canvas I began with gold and silver spray paints, keeping it lighter in the centre. I highlighted the raised texture with waxes. 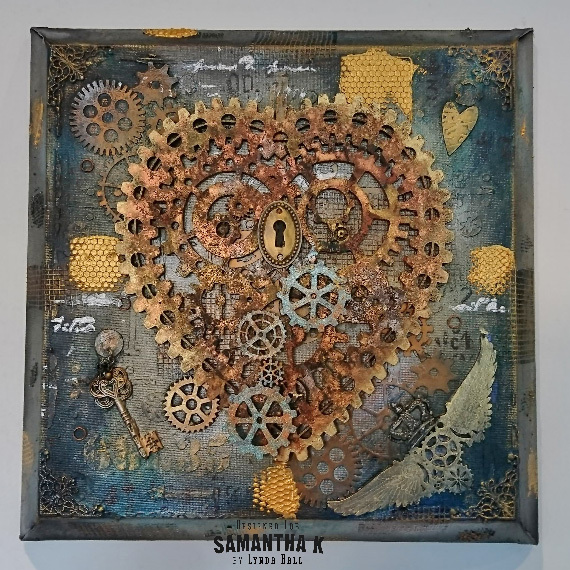 I needed to ensure that once the heart was mounted the eye was drawn to the centre of the canvas, so I worked on the edges of the canvas, initially using blue and green acrylic paint sprays ( cheap as chips from Lidl and brilliant!) and dabbing back. It’s really hard to capture in a photograph just how much this captures the light but hopefully you get the idea. I’ll be back soon with another project to share. 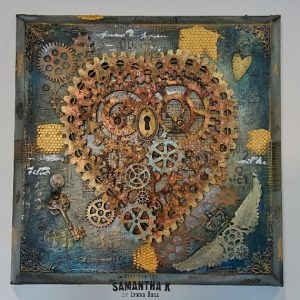 I hope I’ve inspired you to get crafting too.